Emphasis is on reading competence and exposure to a wide range of literary works, broadening the students’ framework for understanding the culture and civilization. 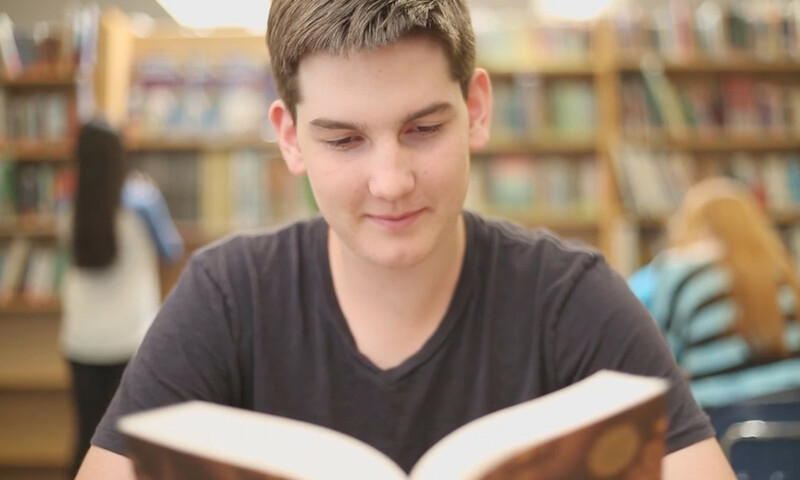 Upon completion of this reading level, students will have developed a comprehensive vocabulary and will be comfortable reading a variety of literary works. They will read an average of 5-10 books per month, selected from a list which includes biographies, autobiographies, fiction, historical fiction and nonfiction. In addition, there is a core of required books, including Charles Dickens’Great Expectations, Pearl Buck’s The Good Earth, as well as various works on Greek mythology. Literature Seminars covering The Odyssey and Julius Caesar (or Romeo and Juliet) ensure students delve more deeply into these classic texts and are able to integrate the materials with their studies of history, government and philosophy. Students continue the Literature Program covering literary works that embrace philosophy, art, history, biography and science. Prior to reading each book, students engage in background research of that historical period, including relevant social and political issues, putting each novel, play or epic poem in proper context. Extensive writing assignments while reading the book focus on evaluating the ideas and viewpoints expressed in the literary work against the historical, social and political period, as well as against one’s own experiences. Literature Seminars focus on David Copperfield, The Merchant of Venice, Oedipus Rex, The Republic and Hamlet, as well as poetry by Shakespeare, Keats, Shelley, Frost and others.